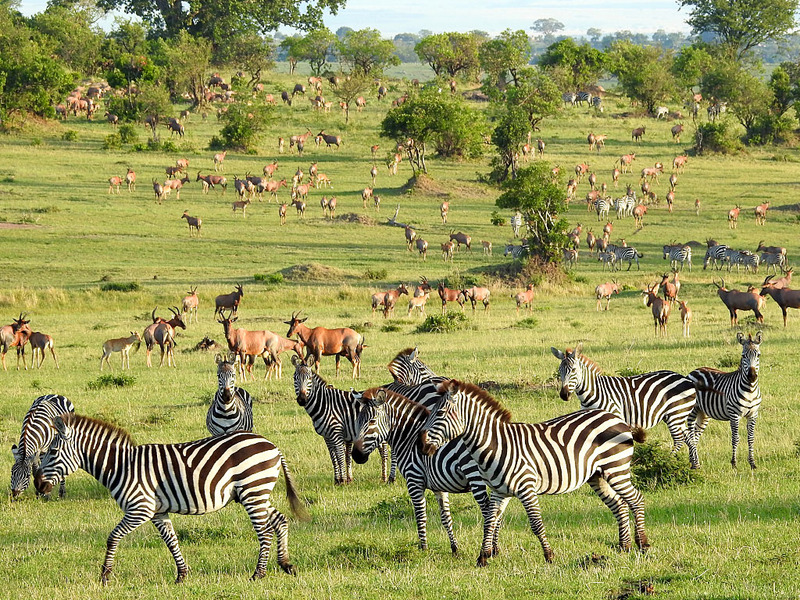 Greetings from the Serengeti. 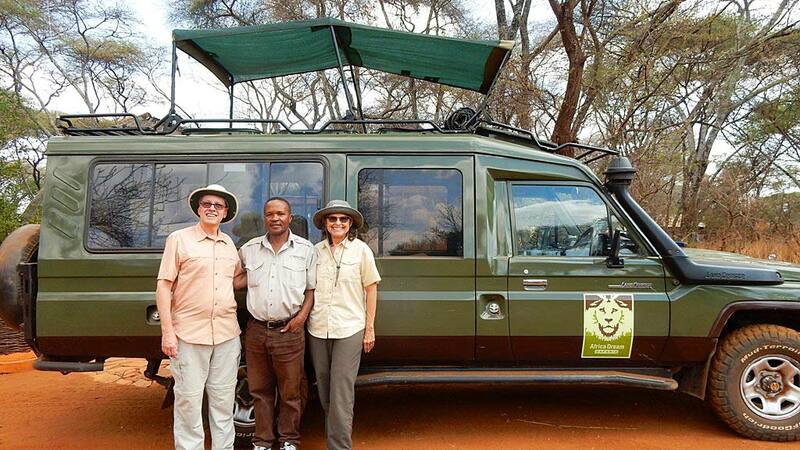 I have concluded a wonderful safari with my two guests from Chicago, USA named Larry and Anne. 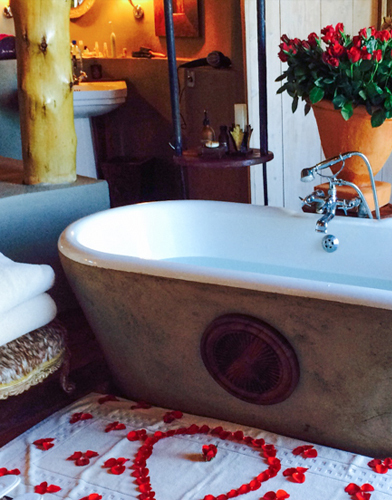 They were celebrating their honeymoon with a safari to the Serengeti followed by a short trip to Zanzibar. 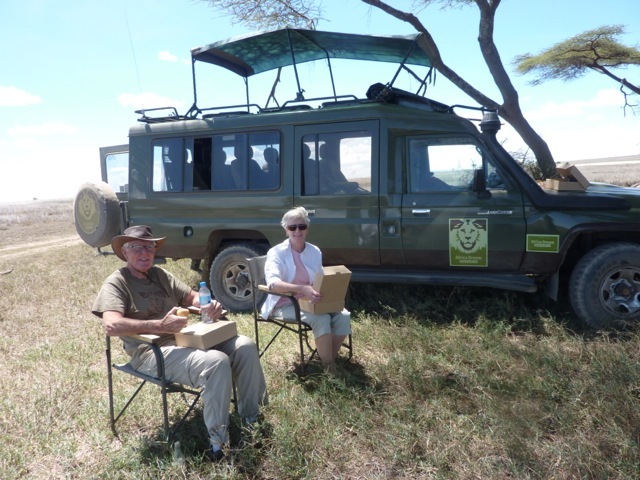 We started the safari on 03rd March 2014 in the Central Serengeti area with 2 nights at the Four Seasons Lodge. 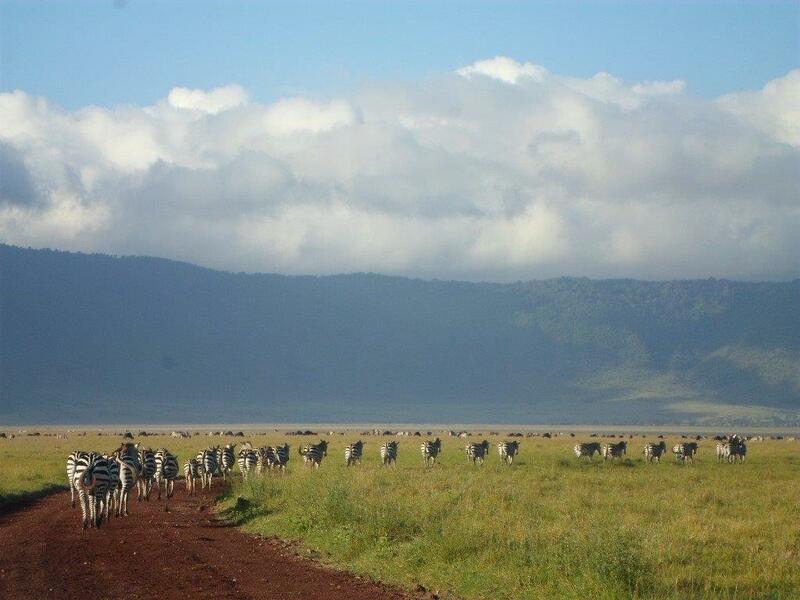 After I picked my guests up from the Seronera Airstrip, we immediately headed for the Maasai Kopjes, where we saw herds of buffaloes, elephants, gazelles and giraffes. 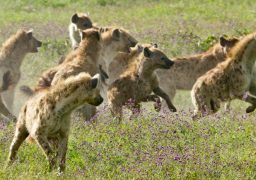 The next day we encountered a mother cheetah with two cubs and we also visit the Makoma Hippo pool. After that we drove around Seronera valley where we saw a beautiful leopard, which is one of the most sought after animals in the Serengeti. We then decided to explore the Moru Kopjes, which is located about a 1-hour drive southwest of Seronera. 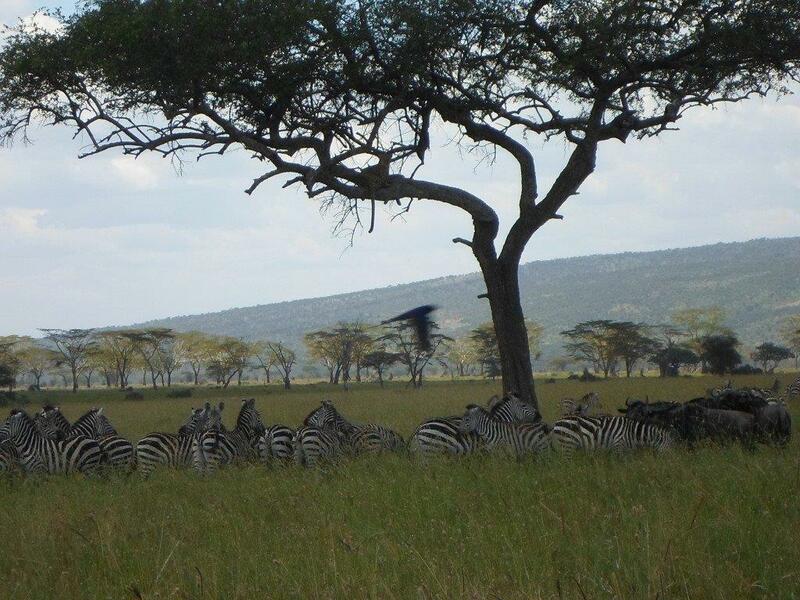 In this area we saw part of the zebra migration, big groups of elephants and a large pride of lions. 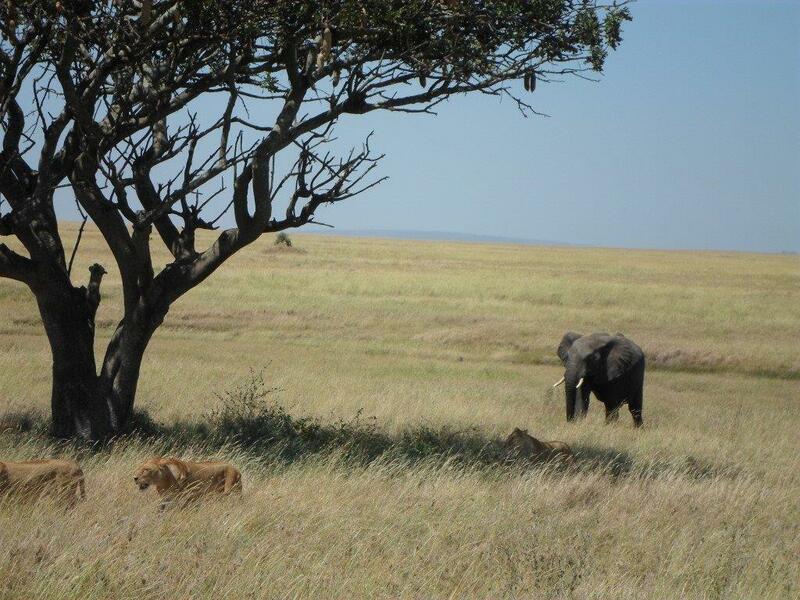 Lastly, at the place called the research Kopjes we saw a lioness chasing a zebra. It was exciting to watch even though she failed to make a kill. 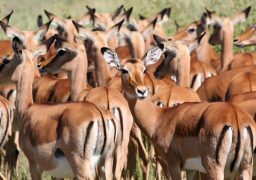 On our way to the South Serengeti where we had 2 nights at Lake Masek Tented Lodge we had an incredible game drive around Gol Kopjes where we saw a black rhino, which is very rare to find in the East Serengeti. 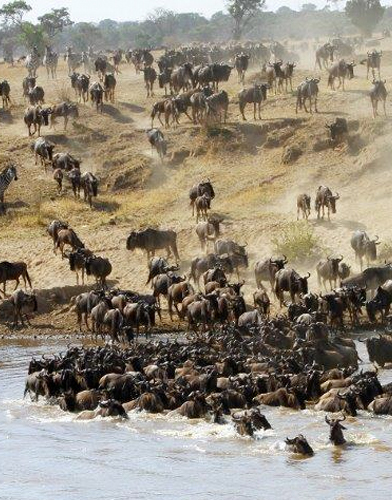 In the South Serengeti at Ndutu we saw a pride of lions, cheetahs and also the wildebeest migration. 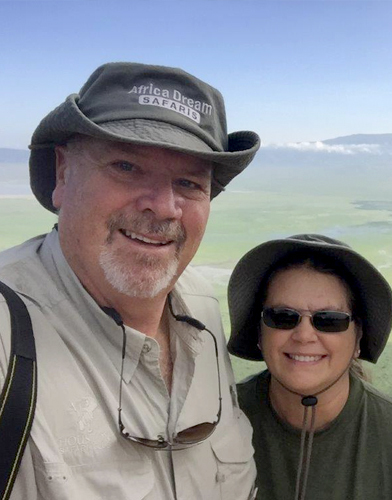 We also conducted game drives in the Ngorongoro Crater after departing the Serengeti and saw another pride of lions, big bull elephants, three black rhinos, and other different animals like buffaloes, zebras, hyenas, etc. We spend 2 nights in the Crater area with 1 night on the rim of the Crater at Lion’s Paw Camp folled by a 2nd night the luxurious Escarpment Lodge. 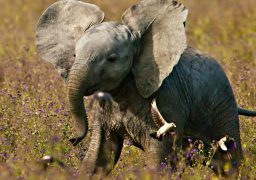 We enjoyed a final game drive Lake Manyara National Park with many baboons, blue monkeys, and lots of birds which cannot be found in any other place in the world. I dropped off my guests at the Arusha Airport on March 9th for their flight to Zanzibar. The following are some of the pictures I would like to share with you. 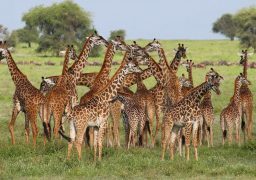 – Browsing giraffes in the Central Serengeti around Makoma Hill. 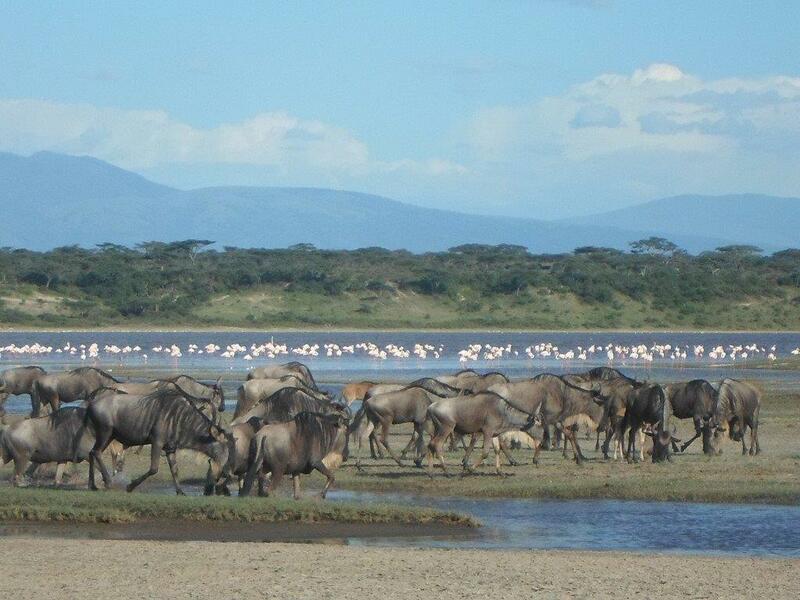 – Wildebeest with flamingos in the background at Lake Ndutu, South Serengeti. 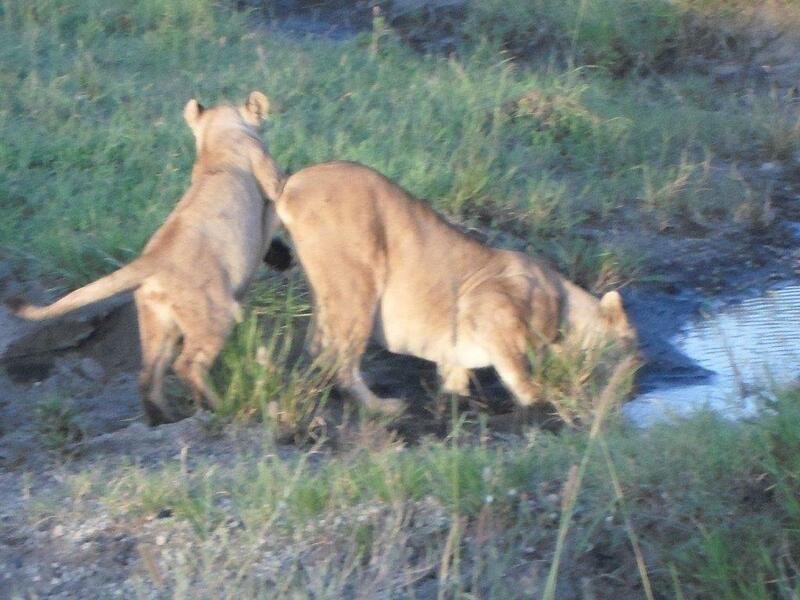 – A lioness with her cub of about 1 year old drinking water at the Ndutu big marsh while her cub was jumping on her back playing. 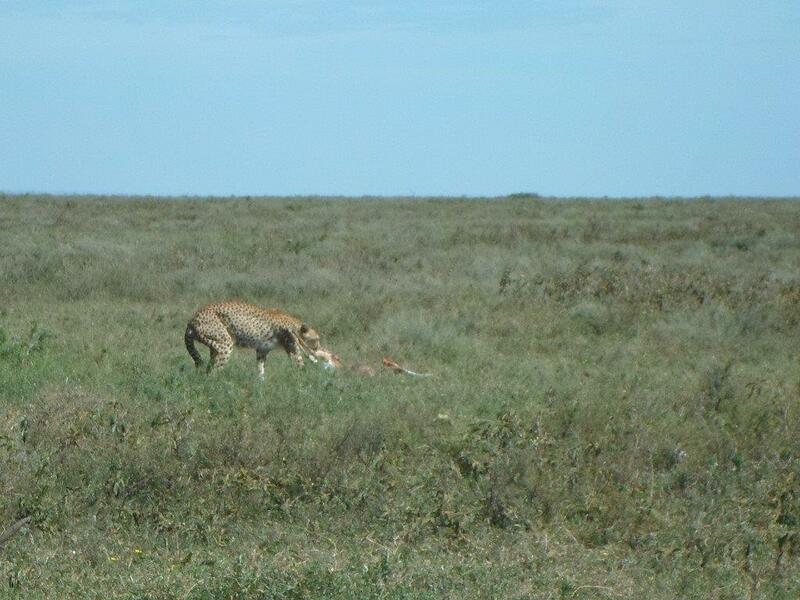 -Female cheetah with a Thomson Gazelle kill and her four cubs of about 1 month old at Ndutu, South Serengeti. -Zebras walking following the road in Ngorongoro Crater. 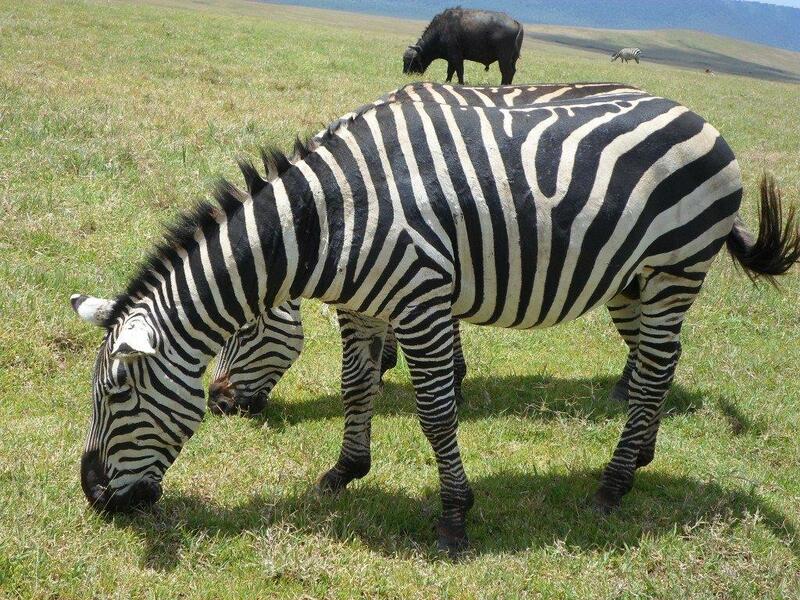 -Two zebras with a buffalo grazing in the Ngorongoro Crater. 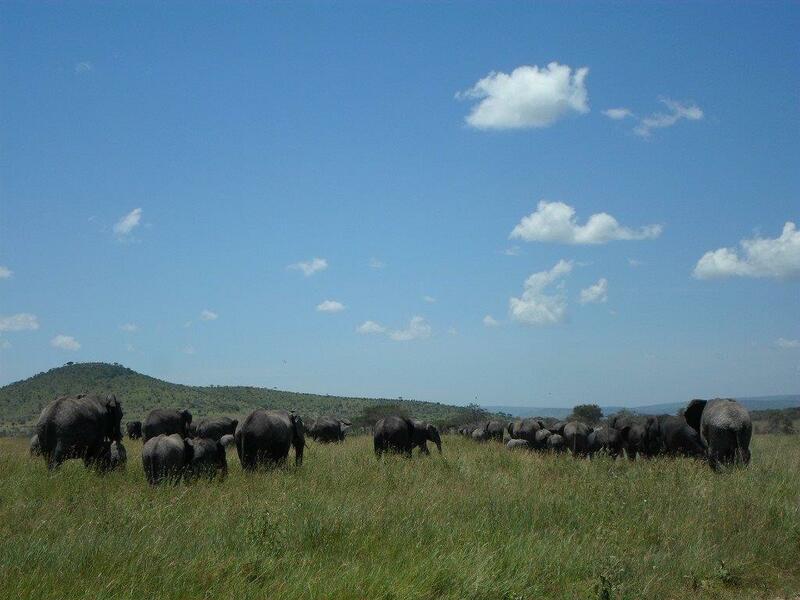 – Congregation of elephant families around the Moru Kopjes area, Central Serengeti. 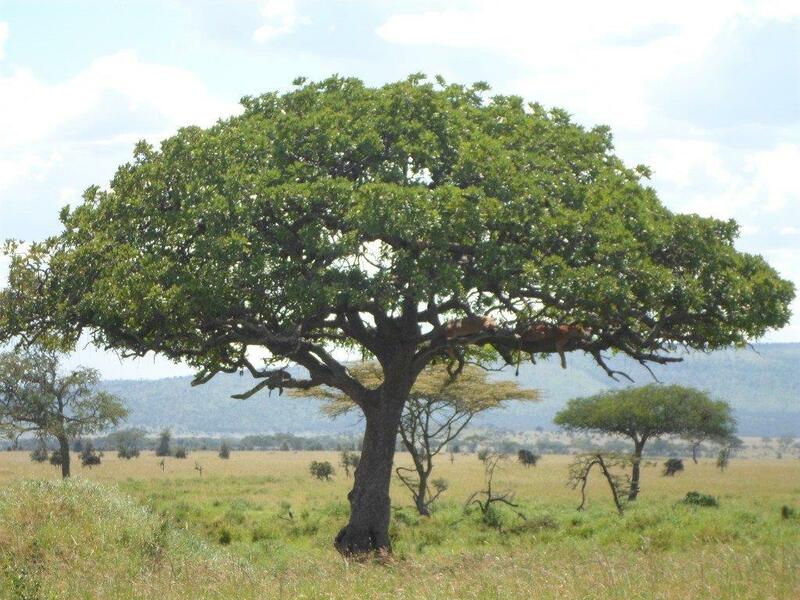 – Zebras and wildebeest under the balanite tree and up in the tree there is also a leopard (Moru area). 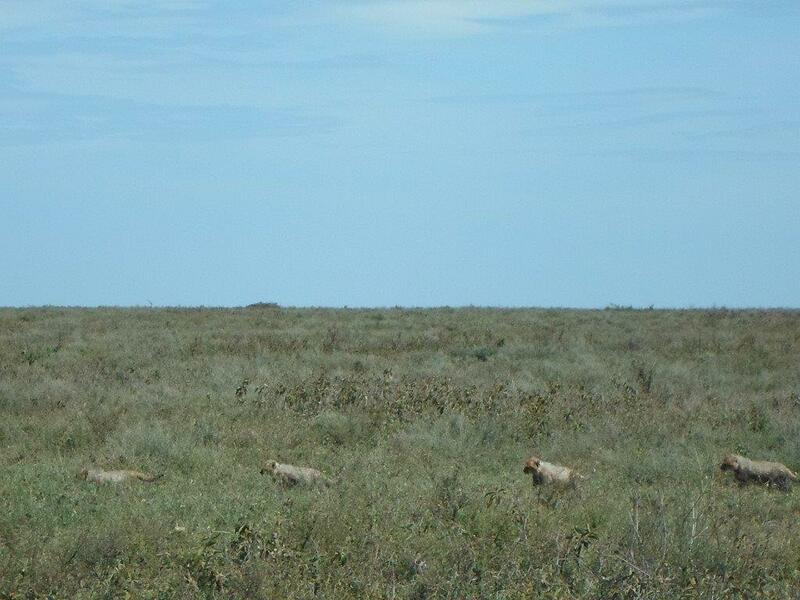 – Three lionesses up a sausage tree around Moru area. 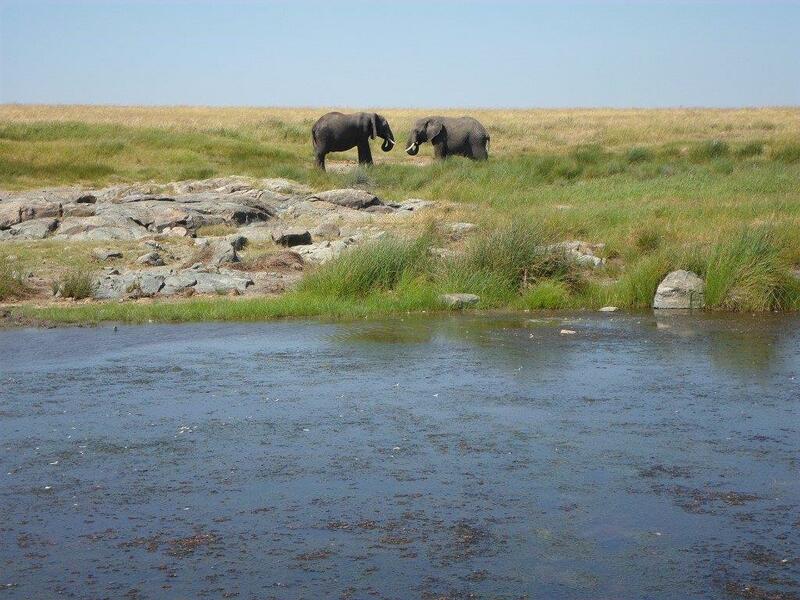 – Two bull elephants sparing near Research Kopjes in the Central Serengeti. 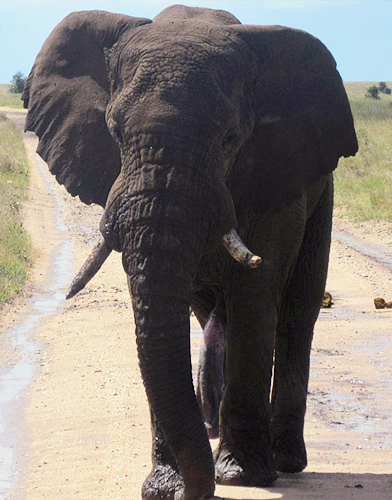 – Bull elephant chasing the lions from his territory around research area in the Serengeti. Thank you so much for this recount! I was trying to piece the days and the activities together when going through my pictures, and you’ve helped me a great deal. It was so wonderful having you as our guide. 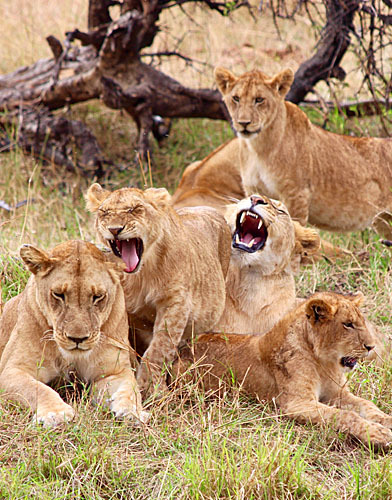 You are so knowledgeable about the animals and the history of Tanzania. 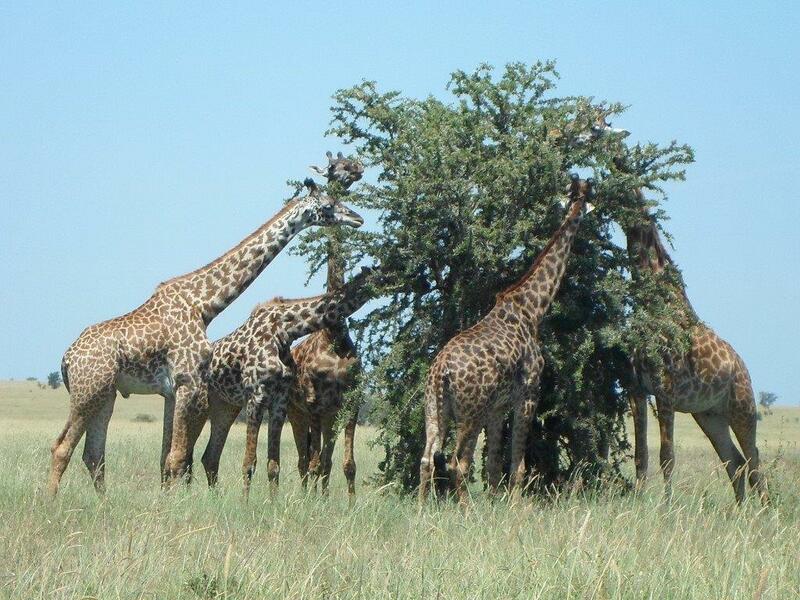 We sincerely appreciated your talent at spotting so many animals! We miss seeing you everyday! Greetings. Wow!! Thanks for the nice link with great pictures. 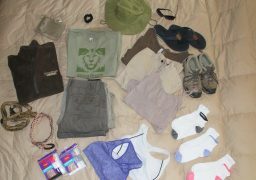 Have a nice time and Welcome again in Tanzania.